The father of Faith Tsarnas, the teenage girl killed while skateboarding with her friend by her friend’s mother Marci Kitchen, has turned himself in for a Nov. 27 hit-and-run crash that severely injured a woman. 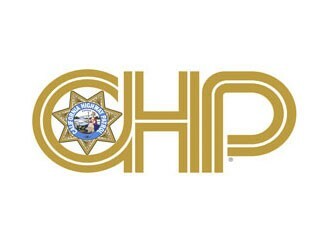 According to a release, Jeffry Tsarnas, 54, of Myers Flat came to the California Highway Patrol office with the vehicle that was allegedly involved two days after the crash and gave a full statement. The pedestrian, Marie Kelley of Garberville, suffered major injuries to her lower left leg. Faith Tsarnas was visiting Jeffry Tsarnas, whose first name has also been spelled "Jeffery" in various news reports, when she was hit from behind on Eel River Drive in July of 2016 and died at the scene. Her friend Kiya Kitchen died the next day at a Bay Area hospital. Both were 14. Marci Kitchen, who initially fled the scene, was sentenced in September to eight years in prison after suddenly reversing course on a defense strategy that had led to numerous delays in the case and pleading guilty to all the charges against her. The action of leaving two dying girls on the side of the road that summer night and ensuing lengthy delays in the case, including some caused by a switch in her legal counsel after Kitchen ran out money to pay her private attorneys, roiled many in the community. According to the CHP release, the investigation into the Ferndale incident is ongoing and anyone with information is asked to contact the agency. On the evening of Tuesday November 27, 2018, the California Highway Patrol Humboldt Area received a report of a female pedestrian whom had possibly been hit by a vehicle while walking in the lanes and crossing Fernbridge in Loleta, CA. 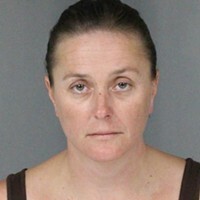 CHP Officers responded to the scene and contacted 47 year old Marie Kelley of Garberville. Ms. Kelley was being treated by emergency medical personnel for injuries to her lower left leg, consistent with having been hit and/or run over by a vehicle. The involved vehicle had fled the scene and was unable to be identified at that time. Ms. Kelley was transported to Redwood Memorial Hospital in Fortuna for treatment of her injuries. CHP officers recovered a broken driver side vehicle mirror at the location of the collision and this information was released through the media, in hopes of locating the vehicle, as well as possible witnesses to the collision. The CHP received several tips from the public in regards to this investigation. On 11-29-2018, 54 year old Jeffry Tsarnas of Myers Flat came in to the Humboldt Area CHP office and stated he had been the driver at the time of the collision. Mr. Tsarnas also brought the involved vehicle to the CHP office and the broken mirror was matched to this vehicle. A full statement was obtained from Mr. Tsarnas at this time. It is unknown if alcohol and/or drugs were a factor in this collision. The California Highway Patrol Humboldt Area is continuing its investigation into this felony hit and run collision and is asking anyone with additional information to contact the Humboldt Area Office of the CHP at 707-822-5981 or to send an email to humboldt_area.humboldt_area@chp.ca.gov.